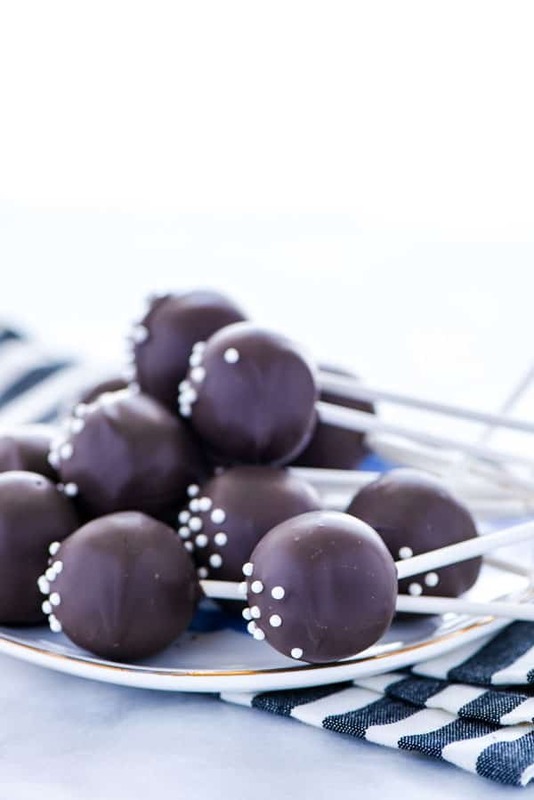 Follow my easy tips to make the perfect chocolate cake pops! 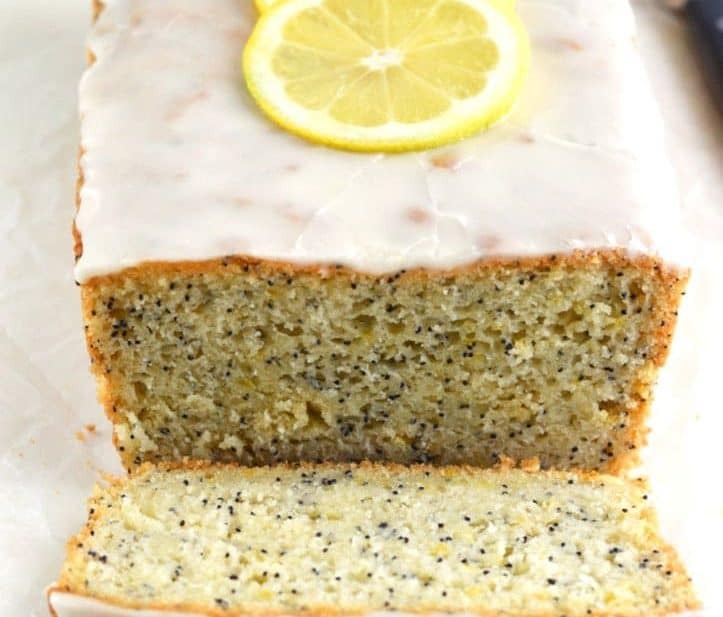 These are made with minimal ingredients and minimal equipment with bakery-quality results! You also want to make sure there aren’t any air bubbles visible on your cake pop. If there are, us a toothpick to pop them and smooth out the chocolate. 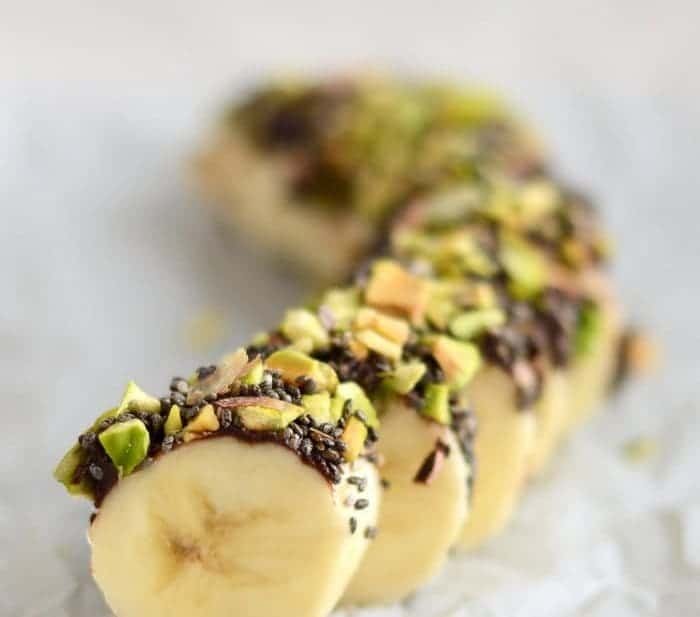 Do this quickly before the chocolate starts to harden! 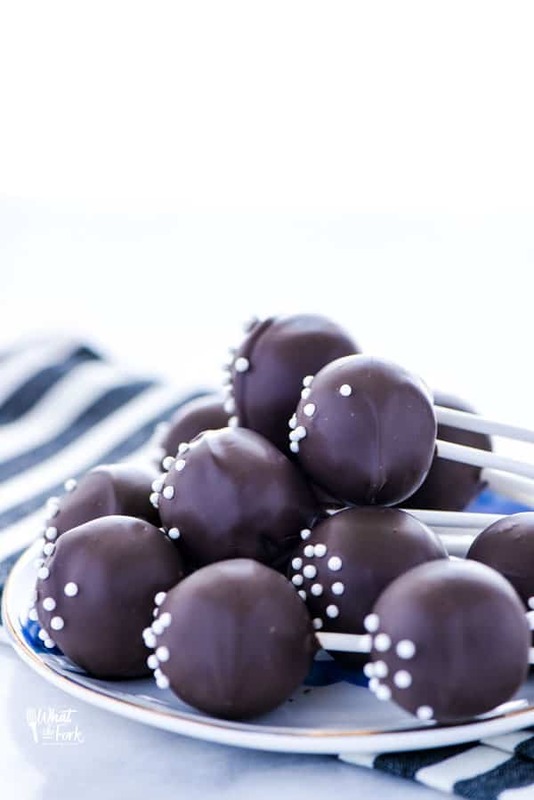 I make my chocolate cake pop recipe from scratch and use my favorite gluten free chocolate cake recipe for the base of the chocolate cake pops. You can certainly use your favorite box mix. Can I Halve this Recipe for Chocolate Cake Pops? Do I have to Use Gluten Free Chocolate Cake? No. If you aren’t making these for somebody that eats gluten free, you don’t have to use gluten free chocolate cake. 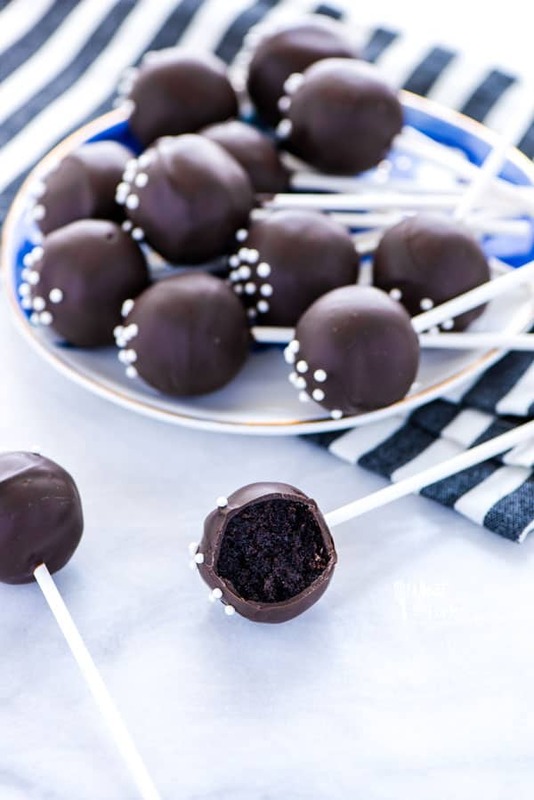 Make these chocolate cake pops with your favorite chocolate cake recipe! However, when making the chocolate cake balls, you might want to start with just 3 cups of frosting and add more as needed. You may need more or less depending on the chocolate cake you use. Can I make these Dairy Free? YES. Follow the dairy free subs in my chocolate cake recipe to make the cake dairy free. Then, use my vegan chocolate frosting. Last, you’ll use a dairy free chocolate for coating the chocolate cake pops. Enjoy Life Foods Semi-Sweet Mini Chocolate Chips melt really well and are great for dipping. Yes and no. The only specialty equipment you need for making cake pops is lollipop sticks. You can find them at any craft store, Walmart, and even some grocery stores carry them in the baking aisle. If you want to skip the sticks altogether, you can. Just make cake bites, similar to my Gluten Free Oreo Truffles and with the same dipping method I used to make those. Can Cake Pops be Made in Advance? You can certainly make the cake pops recipe easy on yourself by making some parts or all of the cake pops in advance. The cake can be made a day or two before you’re ready to crumble it up to turn it into pops. 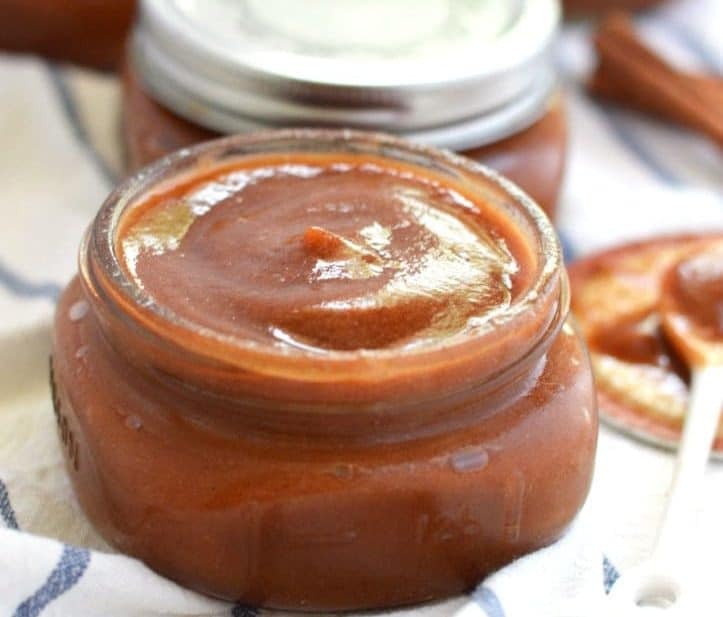 You can also make the frosting ahead of time and store it in the fridge until ready to use. Just let it come to room temperature before using to make it easier to mix into the cake crumbs. Cake pops do not need to be stored in the refrigerator and can be stored at room temperature for a couple days before serving. Make sure your cake pops are covered completely or wrapped individually when storing them. You can also store your cake pops in the refrigerator. Condensation will form on the chocolate if they are stored in the refrigerator without being covered. You can place a paper towel under and over the cake pops to help absorb the condensation. Bring them to room temperature before serving them. Some sources say that you shouldn’t freeze cake pops once they’re coated in chocolate. I disagree with that. I freeze my cake pops and defrost them at room temperature without an issue. It’s the best way to store them long term (1-3 months). Just be sure to defrost them and let them come to room temp before serving. You can also get this Gluten Free Chocolate Cake Pops recipe on Food Fanatic where I am a regular contributor.